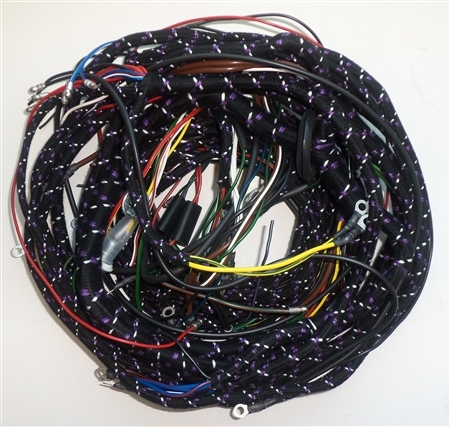 Wiring Harness for a 1959 - 1960, Right Hand Drive Morgan Plus 4. Wired for Separate Amber Flashers with push pull type switches on the dash. Manufactured with PVC wire, with a braided cloth wrap.